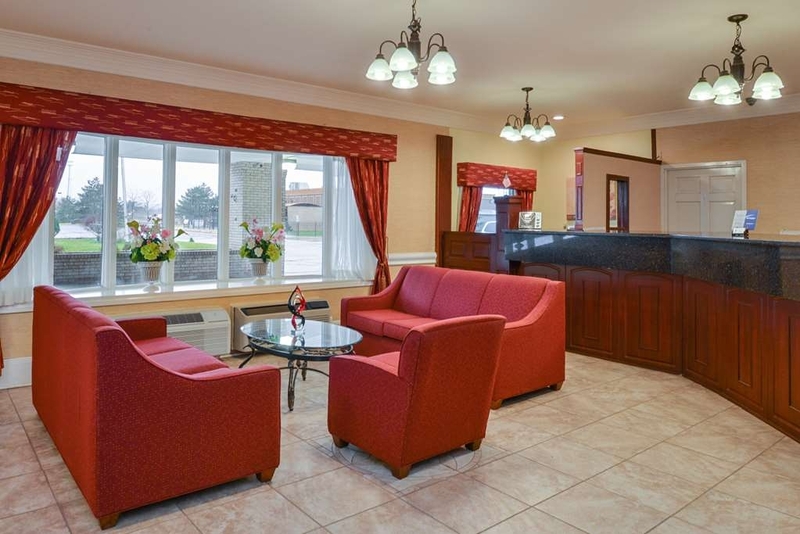 The Best Western of Whitmore Lake is ideally located in the center of Whitmore Lake. Come and experience our hotel near the major tourist attractions. Best price guaranteed and exclusive deals. King size bed with a sitting area. 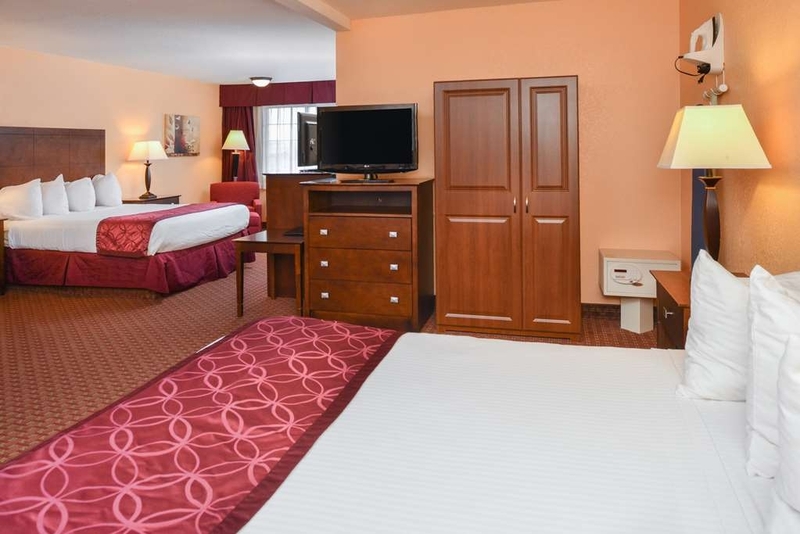 To get a great deal on a hotel near,ANN ARBOR OR BRIGHTON Michigan, choose our Whitmore Lake hotel that’s known for service, quality and an unbeatable location. A hotel near the University of Michigan Football Stadium should be more than just conveniently located. 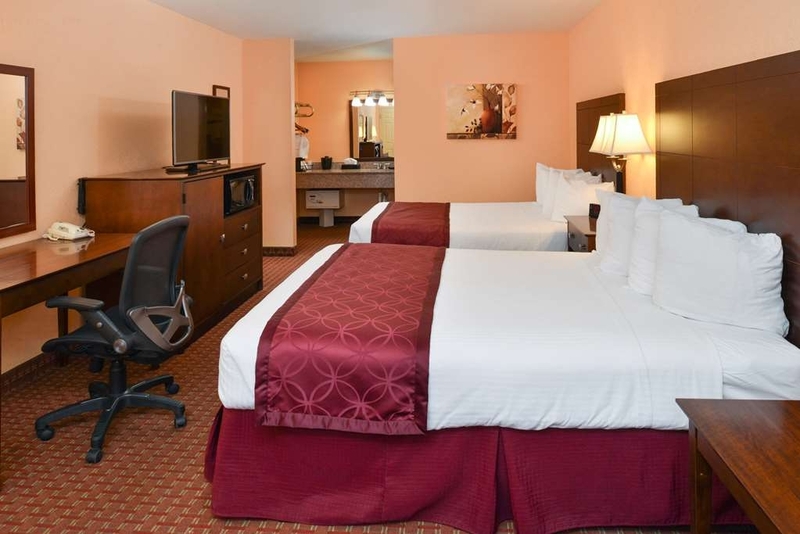 At our Whitmore Lake hotel, we take pride in providing guests with the best service in town. Right off the US-23,EXIT 53 it’s easy to zip around town from our location, but many guests appreciate just how dedicated each staff member is to making sure your stay is as pleasant as possible. 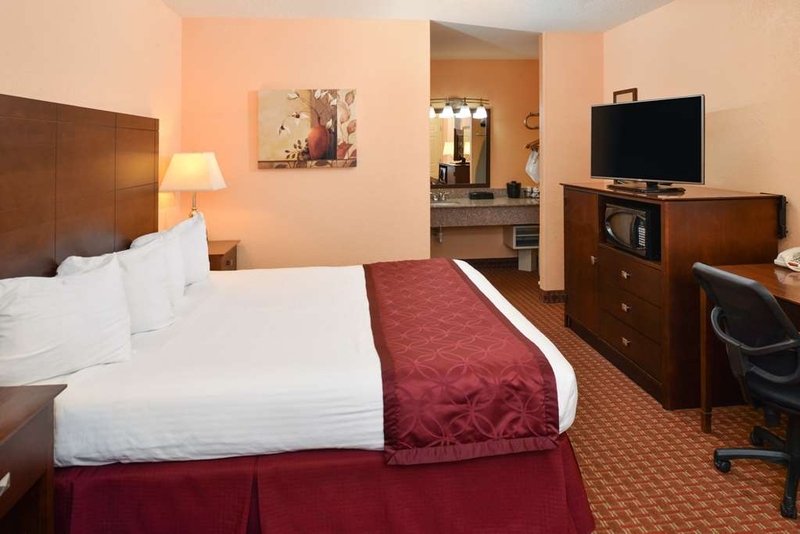 From luxury bedding and a free,Internet access indoor pool to a warm, welcoming atmosphere, you’ll feel right at home here. 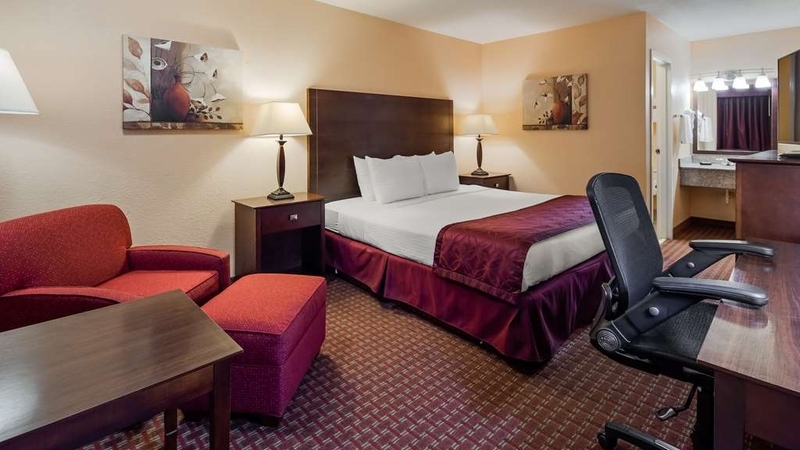 If you’re looking for a hotel near Whitmore Lake for outdoor recreational opportunities, we’re close to hiking trails, the lake and plenty of space to enjoy the great outdoors. Whether you’re into water rentals, swimming, boating, kayaking or SUP, it’s easy to take advantage of everything the lake has to offer when staying at our Whitmore Lake hotel. 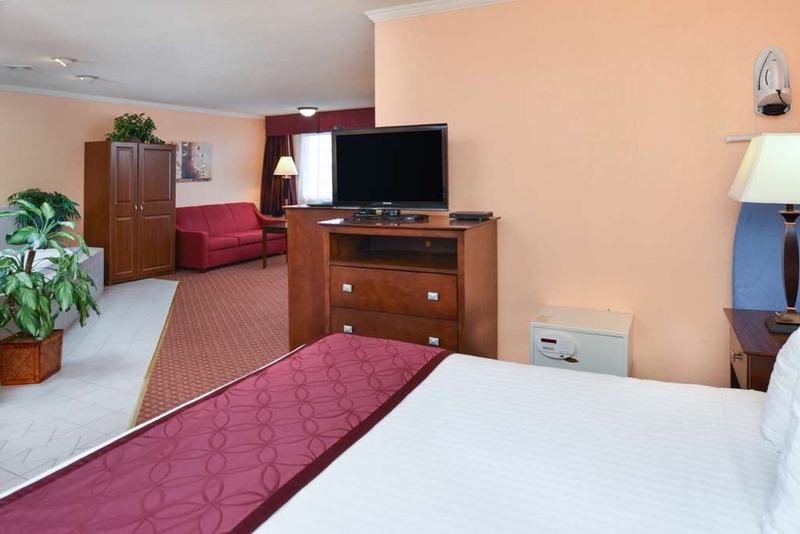 However, if you want a hotel near the Michigan International Speedway (MIS), our location also delivers. A weekend at the races is fun for the entire family, and it’s only a short drive away. 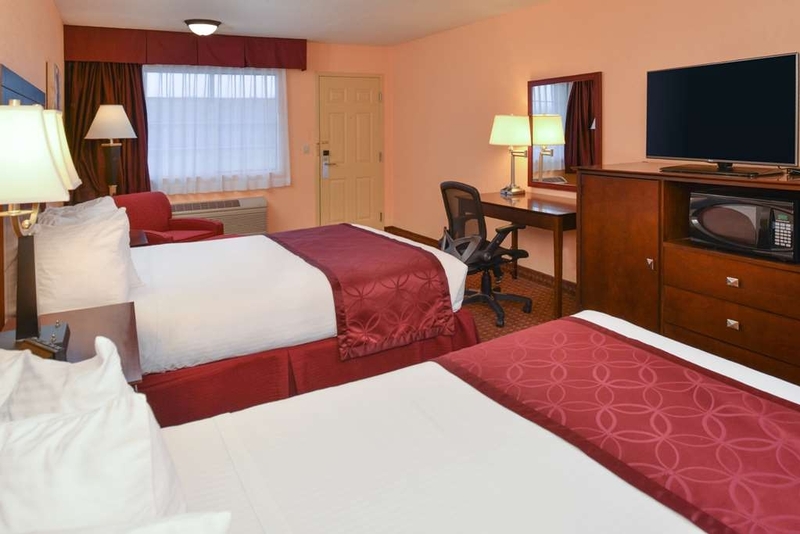 Our proximity to Michigan International Speedway is a big reason many guests stay with us. However, you can also take advantage of pond hockey in January or our proximity to Ann Arbor, too. There’s plenty of truck parking for truckers at our Whitmore Lake hotel. Whether you’re here for work, for the University of Michigan football games, or the Ann Arbor Art Fair, stay in comfort. Many of our guests are employees of the Woodland Center Correctional Facility, Eastern Michigan University, U of M Hospital, or are truck drivers passing through. You deserve luxury bedding, peace and quiet when here on business or leisure. 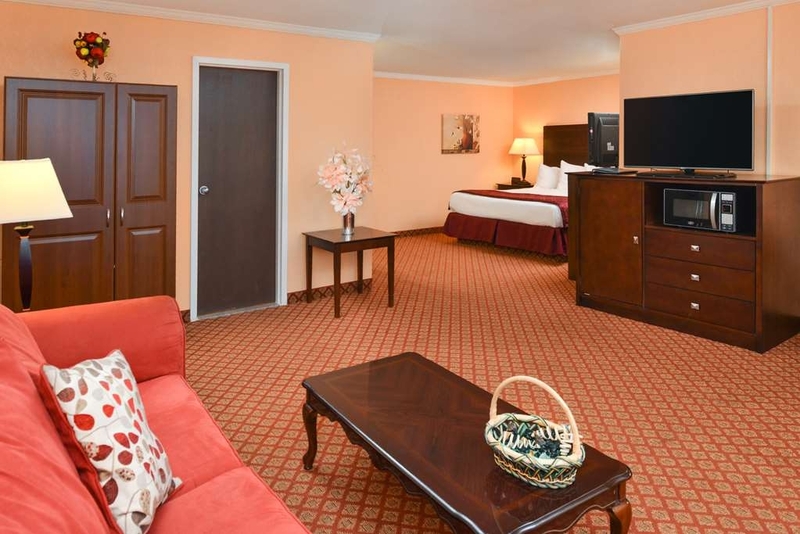 Book your next stay at the Best Western of Whitmore Lake for a relaxing vacation. Enjoy your stay. This is a much older motel but the people working there were very nice to all of us. The rooms were clean and nice - towels were nice and fluffy not thin like some have. Breakfast was the standard motel one and good. 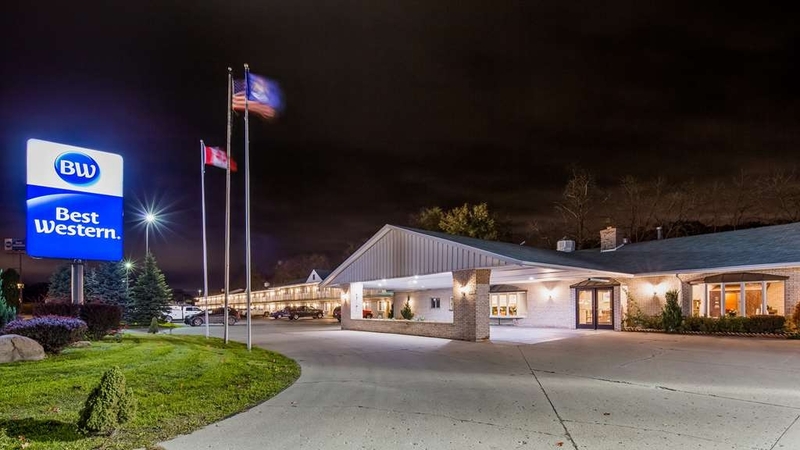 This Is a vary nice place to stay, I have been here many times ,clean rooms Great breakfast spread in the mornings , Restaurant In parking lot, Prime rib was fab!, with great food and band in the evening.. Thank you for the feedback regarding your recent stay at Best Western of Whitmore Lake. Your business is very important to us and we value your feedback. By telling us what you liked about your stay and how we can improve, you are helping us deliver a superior experience for you and other guests in the future. We hope you will come back and see us again soon. "Terrible. Horrible. Pictures better than real life." We stayed the weekend for a soccer tournament and this was a terrible experience. The staff was not the problem and the pool area fine, no issues. The room on the other hand was terrible. It was like the breakfast area & pool were part of a motel. My door wouldn't lock, shower ceiling was bubbling, and we had what looked like blood stains on sheet (wish I would of taken photo). Another family staying with team had similar experience with condition of room and one had to call exterminator to check if they had bud bugs on their clothes/luggage from their stay at this Best Western. I was shocked to see that it had any positive reviews! Best Western just said sorry and they would work on it after I took a survey they sent. Thanks Best Western! "Old style Motel...but maintained and friendly." My single night stay was about what I expect for a motel located less than 150 yards from an expressway. Road noise was an issue, as was noise from the "in room" AC/heat unit. The room itself was a bit dated, but clean. While I reserved a non-smoking room, the odor of past smokers was clearly present. 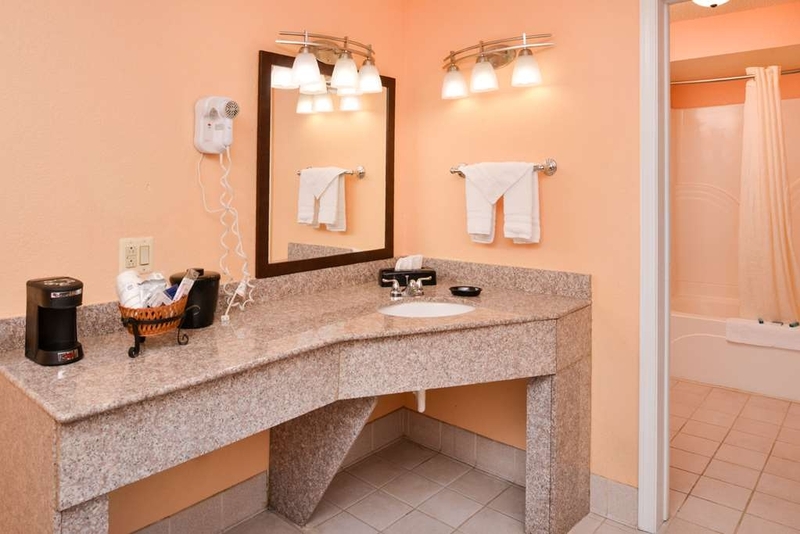 Nice room touches include full toiletries, coffee maker, fridge, microwave, flat screen TV and Directv service. Staff was prompt, friendly and professional. The free breakfast included scrambled eggs, sausage patties, biscuits and gravy, cereals, assorted breads, fresh fruit, fruit cups, yogurt and more. Nice breakfast setting. Plenty of parking for all, including big trailers and semi's. Reserved this hotel through booking.com. pictures seemed ok and it was close to wedding venue. Checked in..room was absolutely horrible. Not clean chipa all over floor and tv area..extremeky dirty even after housekeeping. Somethng out of a nightmare. Requested money back and was denied by best western staff . Booking.com does not refund either so buyer beware of using that site to purchase travel..you will be stuck!!! Stay away from this prooerty and booking.com. On behalf of our entire team, I would like to apologize for not exceeding your expectations. Your satisfaction is important to us and we will be using the feedback you gave us to implement improvements to ensure we offer a better experience for guests in the future. I hope that you will consider staying with us again so that we can have another chance to earn your business. Thank you for your time. This is a old-style, two-story motel along the highway, about a block from Whitmore Lake. I didn't expect much. 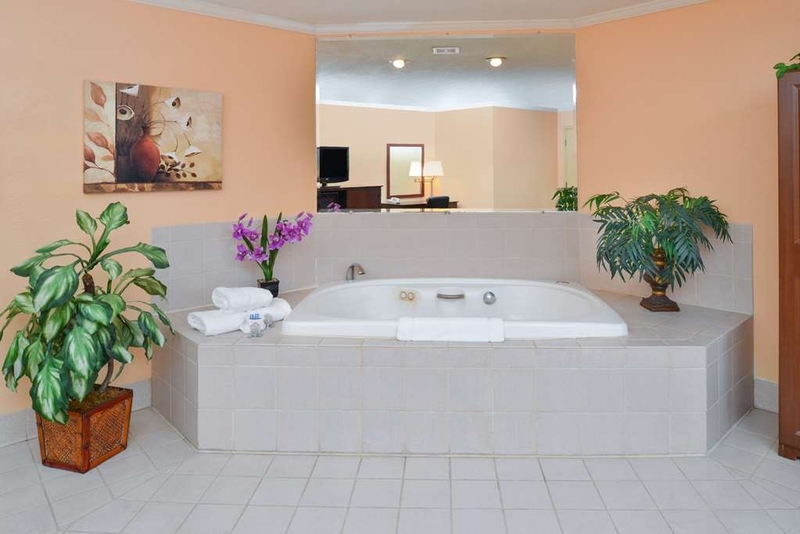 The staff was terrific, the room was SHINY clean, the pool is BIG and deep and very clean. They have laundry facilities. The breakfast was hot, well-provisioned, good bagels, eggs & sausage, biscuits (need to toast these). Good coffee! About 10 minutes from downtown Ann Arbor. The hotel was clean and the staff were very friendly and helpful. The pool is nice and the breakfast room was also very nice. If you were staying for one night, this is a great place for the right price. I do know that I probably would not do an extended stay. The exterior is dated, but clean. Room was very clean, nicely laid out, and had a mini fridge, microwave, and coffee maker in room. Nice toiletries provided. My only major complaint is the number of guests congregating near the stairwell that went to the second floor room, as well as standing out of their rooms with the doors left open, smoking on the sidewalk. A designated smoking area away from the building would fix this issue. It was like being on display when walking back and forth past these people. Otherwise a nice place to stay for a one or two night stay. Quiet despite its proximity to the highway. A nice restaurant is located in the same complex. The room had old mattress's, broken fridge and toilet wasnt screwed down tot he floor. Smelled like old smoke. It looked like an old Motel. I prefer the inside hallways going to my room instead of walking in from outside.
" A great overnight stop on the way to Chicago"
Our room had two king size beds and plenty of space for all four of us. It was clean and the staff were very quick and accommodating addressing any of our needs. Breakfast was served in a bright, pleasant room. Everything was fresh and complete. It is very close to the highway, so you can hear the sound of trucks if you're a light sleeper but it didn't affect us. Dear Donna D, Thank you for your feedback. Your business is very important to us and we value your feedback. By telling us what you liked about your stay and how we can improve, you are helping us deliver a superior experience for you and other guests in the future. We hope you will come back and see us again soon. We enjoyed our overnight stay here. The room was clean and the staff accommodating. A nice indoor pool for the kids to unwind in. We had a “queen Suite with two beds in a spacious room. Two tv screens. A nice variety for breakfast. The kids loved the waffles not to mention the lollipops they discovered as we were leaving the breakfast room. Good afternoon, Thank you for the feedback regarding your recent stay at our property. Your business is very important to us and we value your feedback. By telling us what you liked about your stay and how we can improve, you are helping us deliver a superior experience for you and other guests in the future. We hope you will come back and see us again soon. "Exactly What You'd Expect for 3 Stars"
Older outdoor motel. Front desk lady was super nice very easy check in. Rooms smell like old smoke. Beds are small. Water smells like eggs. Pretty outdated. But it is what it is as a 3 star. Not horrible not great. Dear Jason, We're sorry you were unhappy - we'll work hard to fix the issue you experienced. Thanks for letting us know. "Drab And Not Up To Best Western Standards"
Sure was expecting much better. We checked in on a Sunday afternoon. The lady at the reception desk had never dealt with Platinum members who had a free night due to points. She called someone on the phone. Still we were unable to get a free night nor use a gift card. No points or the traditional snack bag for BW members were offered. It is a very old motel with the old motel layout. The bathroom had no grab bars and the tile was slippery. This would be okay for a quick sleep, but is not up to BW standards. It's more in the Red Roof category. Large clean room. Very adequate for an overnight stay. AM breakfast had sausage plus the usual affair along with fresh fruit. We were on the second floor which actually seemed pretty quiet for being close to the freeway. 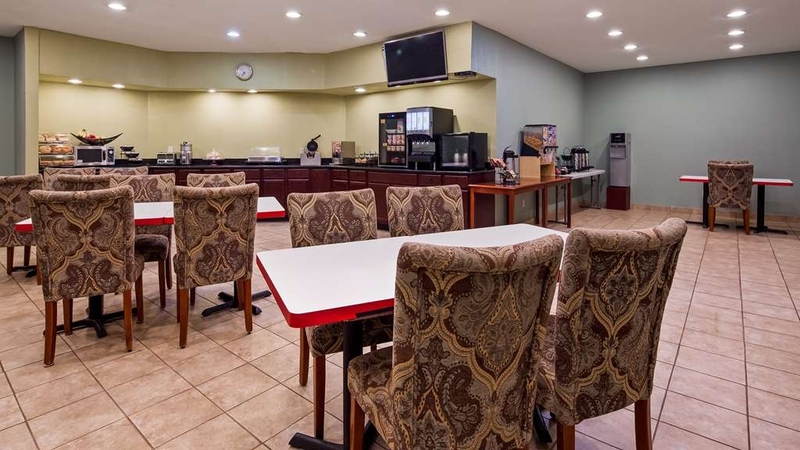 We've traveled extensively across the country staying in budget hotels and this was a good one! What a surprise! 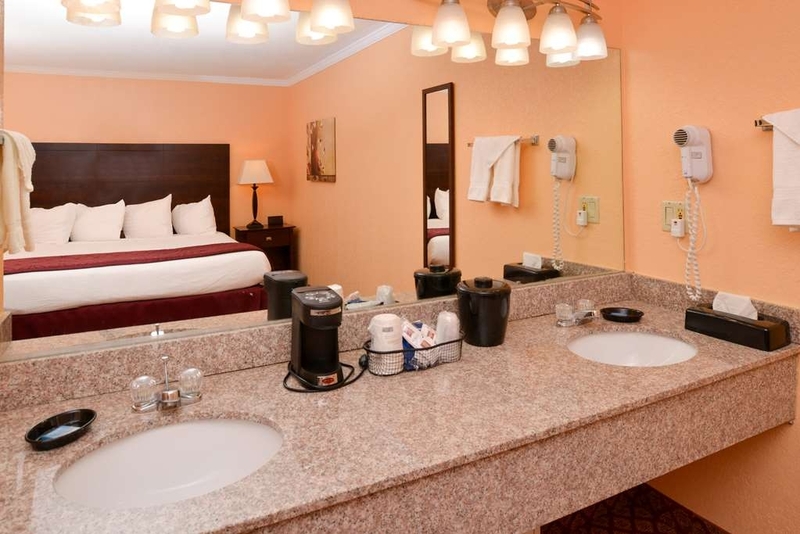 an excellent, comfortable and clean motel room with lovely and welcoming holiday decorations and candies. The clean heated pool was also a delight. For an older style motel, this was a big surprise and a fair price for the comfort.. The staff is friendly and accommodating.. The restaurant within walking distance serves delicious food! Everything was clean. The pool was very warm, which was nice, but there was a lot of chlorine it the pool. Make sure your kids use googles. The pillows were a little small and we had trouble operating the sauna so i don't know if it was broken. 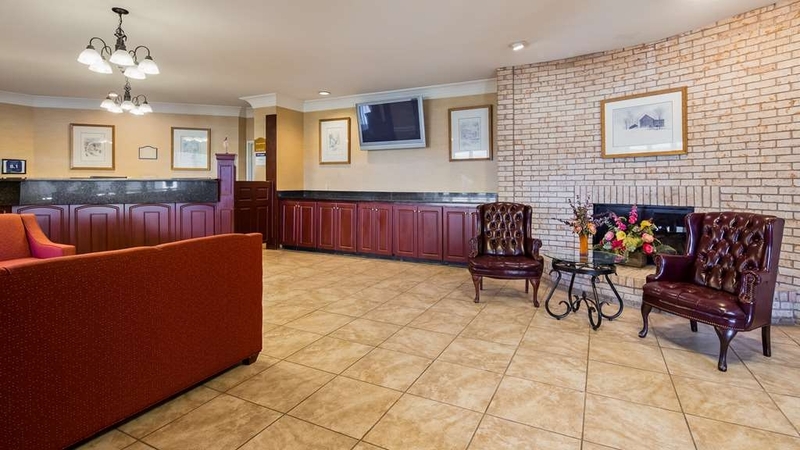 I have stayed at this Best Western a couple of times and always found it clean and friendly. Its location makes it ideal for visiting the area as far as Frankenmuth. Captain Joes Grill has fabulous food and never disappoints. There is a great ice cream place down the way with equally good food and it is fun to walk there from the hotel. Views of the lake are beautiful too. This last visit was special though and not in a good way. A planned family time of fun turned into a nightmare when my mother became very ill. This is when the very best of this hotel came forward. The staff was essential in giving help and in calling the squad. They gave us local advice. The cleaning staff was very compassionate and cleaned up all our mess. They helped change our arrangements and helped us with whatever we needed. One gentleman on staff tenderly helped our mother when we had to leave for home. I can't thank these people enough for all they did except to let all you know how fabulous that place is. Really everyone in that community from the staff to the squad to the hospital deserves high praise. We totally reccomend this area to anyone. I have really grown to absolutely love Best Western! 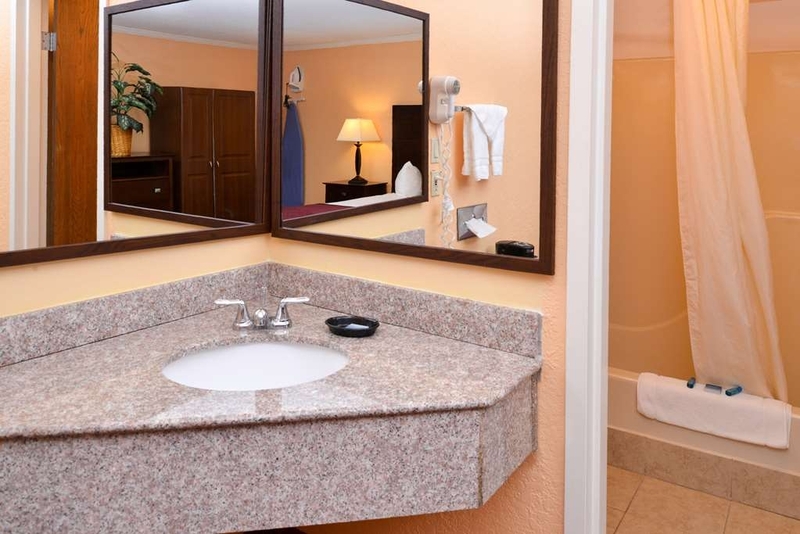 They are upgrading their hotels with granite countertops in the bathrooms, nice fixtures on the wall, and comfortable beds. This Best Western meets all of that! There is a decent restaurant in front of the place as well! "Sleep, shower, tv and food"
If you choose to sleep at this BW, you will NOT get a good restful comfortable nights sleep, the shower is totally uninviting and one would be wise to check out the plastic mat coming off the shower floor for dirt and to ensure they will not trip while using the shower, the TV "guide" lists many channels - most do not work, better to bring a book or kindle or devise of your own, food? Drink their coffee and leave to find a good breakfast place. Nice place to stay with great place to eat across the parking lot, with a bar and they had a live band. Had a good breakfast there as well if you dont want to eat the breakfast the hotel offers, which is good as well for i have stayed here multi pal times. Thank you so much for your feedback. We do aim to please. "You will want to read this"
Yikes. Where to even begin. I travel a decent amount and I do have high standards, however, I feel that I am incredibly rational/reasonable with the 'value' of hotels. I expect to get my money's worth, be it a lot or a little. This hotel, booked for two nights while visiting Ann Arbor, was selected specifically because of the great feedback. I had read dozens of positive reviews claiming this is the only place certain folks stay for football weekend, good joint to get a good value etc. No. Not our experience whatsoever. After a full day of travels we landed at this hotel, finally, around 10:30 pm. Now I suppose this would technically be a motel because the entrance to each room is external. I'm not usually a fan, but my significant other thought this would be useful to unload all of our tailgating gear etc. The outside of this hotel appears to be an old bank? This threw me off but it was fine! No lights on the sign.. looked closed.. however checkin was a breeze. No problems. Upon entering the room, I flip the lights on to find a large beetle crawling across the bed. The bedding was white, so the contrast of the bug to the stark bedding was.... not ok. I insisted we leave but Ryan said we could stick it out. He killed the bug. We unloaded the car. Upon closer inspection, I could see that there was visible debris on the floor. This is something I can look past! I kept my shoes on and didn't think anything of it. We were bummed to discover there wasn't a refrigerator, however, that was probably my ignorance in booking. I change into my PJs and use the restroom. As I am sitting on the toilet *sorry guys I know, hang in there* I notice a pubic hair placed directly on top of the roll of TP. It was almost comical. I look around and noticed they're sprinkled everywhere. In the tub. On the ground. I call the front desk and explain I don't feel comfortable in this room, however, it is now almost midnight, it's too late to move. I explain that for $165/night I don't feel like I'm getting a good value and I'm disappointed. Crickets! The man had nothing to say. He finally budged and said he could knock $20 off my rate for that night. *not impressed* anyways, I am agreeable and ask for a new room. He brings a key down quickly and insists that I check out the new room with his supervision. Prior to leaving the old room, he makes me show him the pubic hair and the bug to ensure he "knows what to discuss with the maid". Whatever. We enter the new room. I explain that as long as there's no pubic hair in the bathroom things should be great! I flip the light on in the bathroom to find poop in the toilet and beer cans on the shower ledge. Yikes. At this point we just want to sleep. He flushes and throws out the cans, assuring me it wasn't left by the maid *what the heck?!*. He rushes out of the room. We plop down on the bed, exhausted, and a FLEA goes soaring over my legs. Long story a little shorter, he refused to give me a refund and had essentially not customer-service problem solving skills. I have been in customer service for almost 10 years...... it's not hard! If he is the only one there at night, he should be equip to make things right. He said it would have to be taken care of by the manager and he couldn't guarantee anything. Yikes. Just save yourself the hassle guys.... do not stay here! We love the Holiday In Express on the South end of Brighton. They checked us in around 2 am with smiling faces and said it wasn't the first time they'd acquired customers with my story. Thankfully, on the financial side, my booking agency corrected the issue. We sincerely apologize for your experience at our property. This was due to the negligence of a head housekeeper and housekeeper. This is not how we do business and those employees were terminated the same day we received your feedback. 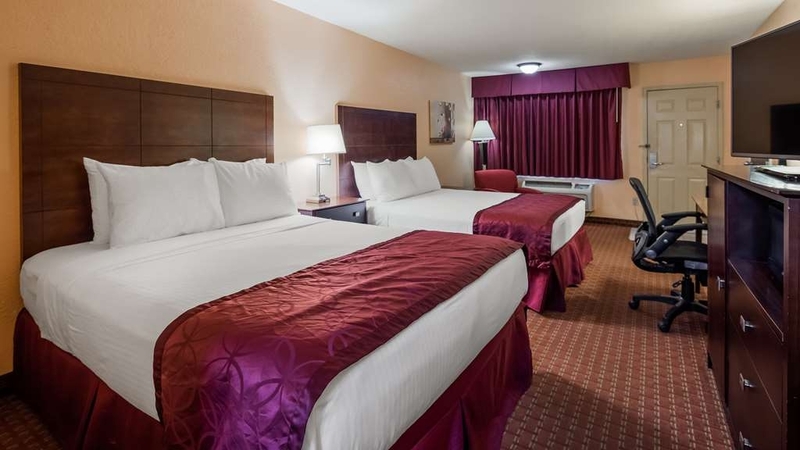 We would like to offer a room at no charge to you at your convenience. We truly appreciate you taking the time to fill out our survey and giving us your feedback. This process helps us to see what improvements and or changes need to be made in our procedures. 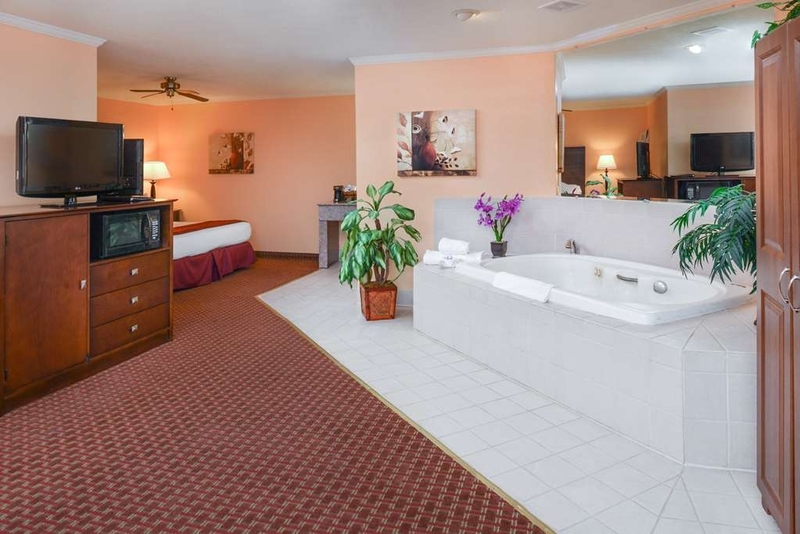 "Wonderful property near Ann Arbor, MI"
Surprisingly comfortable motel just 15-20 minutes from Ann Arbor. Breakfast way beyond the usual. 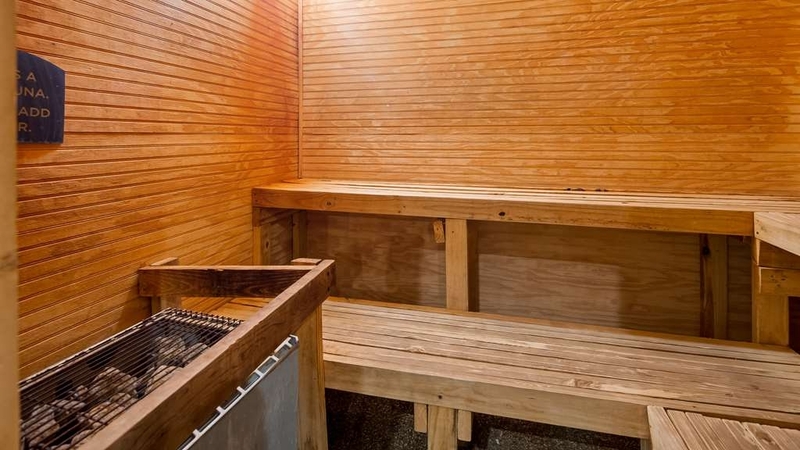 Indoor pool and sauna facilities turned out to be a welcome surprise. Staff were friendly and professional from start to finish. Will definitely return on future trips. "Only choice for U of M game"
Received last minute tickets to the U of M game and there were not many hotel choices. The front desk staff was friendly. Our room was clean but the door (outdoor entrance) did not close on the bottom and you could tell the lock had been repaired. I would not stay here again. "Reasonable motel for the price"
All of the other chain hotels in the area wanted $120+/night. This room was $90 + $20 for our pet. Our first floor room was reasonably clean - sink, toilet, bedding, but the bottom of the tub was a little dirty. The carpet needed a cleaning (my white socks became dark gray within an hour or so of walking on the carpet). Everything was dated, but I loved that our car was parked right outside of our room - took 30 seconds to get anything from the car. The restaurant next door was convenient and good. Breakfast was reasonable with fresh fruit, hard boiled eggs, and yogurt. The sausage was horrible tasting. Every Winter the Whitmore Lake Pond Hockey Association holds a 3 day event of original pond hockey competition on the Lake from sunup Friday through sunset Sunday! This event - usually held in January or February depending upon the weather -brings in 100s of teams (3 man and woman teams). The entire community benefits from the 100s of people who flood this little Hamlet for a weekend of fun, comraderie, music and rock and roll. There is plenty of beverages and excellent food and fun to be had by all! Very nice Best Western. Great location, easy to get in and out, off and on highway. Lovely little town with family activities. Have visited this location several times over past 8 years. Updated and clean every time. 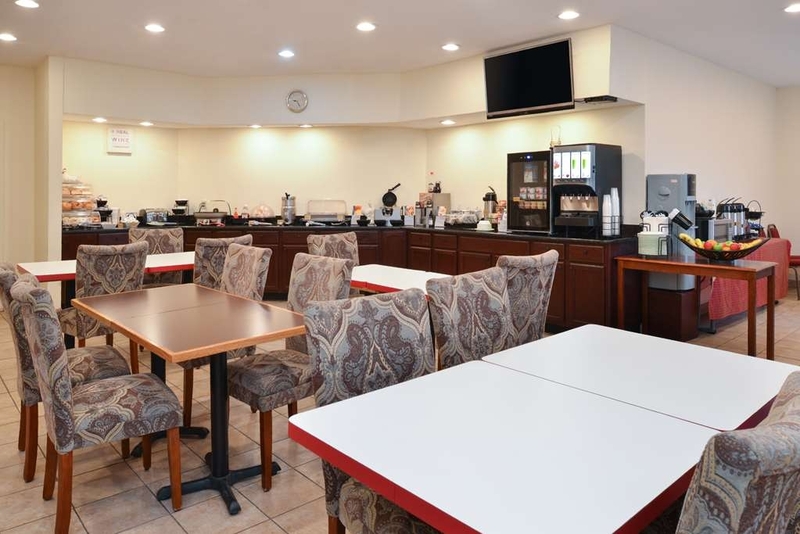 "Great location near Ann Arbor"
We stay at this Best Western when visiting Michigan. It is in a good location near Ann Arbor. Making it convenient to visit family living in the area. Everyone at this Best Western is friendly. The breakfast is always wonderful. waffles - eggs - bagels - fruit and much more. We look forward to our next visit. We spent 3 nights here visiting my sons who are working in the area. My daughter traveled back and stayed with her family as well. Hotel was a good experience. Staff all the way around was very helpful and accommodating. Breakfast had enough choices, this had biscuits and gravy which we don't normally see. A plus for my husband. Beds were comfortable. Everything worked in the room. Nice stay. The room was not clean. There was something on the bedside stand (not sure what it was) that I cleaned off, the toilet paper holder was filthy and hadn't been cleaned in a long time, and the shower was not very clean. "Best Western, Whitmore Lake, MI"
Booked a King, got a double queen. The air conditioning could be turned off or set to Artic. The messed up the name on the reservation for my friends so they were convinced they didn't have a room for them. We both found food on the floor. This is the 2nd and last time we stay at this hotel. Each time we've had multiple issues. The first time we stayed was in 2015. When I made reservations, they were cancelled by the hotel and eventually fixed by the Manager. We have just returned from amother stay at this horrible place. This time I had called the previous week to advise that I had 2 rooms booked for Friday, Saturday and Sunday and that I needed to change one of the rooms to only a Saturday and Sunday night as we wouldn't be able to make it but the other party could. I spoke with Andrea who assured me that everything was taken care of (Andrea was also the same person who cancelled our rooms in 2015). When I arrived I was told that there was no room for me. I gave my reservation number but was told the hotel was booked and there was nothing that could be done. I told the lady that I had spoken to Andrea and she had then called Andrea. My parents (who I had booked the other room for) had checked in the previous night and the reservations where then changed to my dad's first name with my last name. The lady at the front desk would have rather argued with me then do some digging or pull up the reservation by the reservation number. I was not impressed at all. After everything was sorted out and we had our room we went and unpacked only to find a half eaten piece of pizza and some pretzels behind the night table. You could tell they be been there for a long time. We were also travelling with friends (among other family) and when our friends checked in they were surprised to find out that even though they had laid extra for a long room they were given a queen room. There are 12 of us that travel to that area each August and I can guarantee you that none of us will ever step foot in this hotel again. "Best Western Loyalty Club member"
We searched for a Best Western midway on our trip and this fit the bill. Construction on route 23 made things difficult in the area but that was overcome by friendly people. The friendliness continued with the staff, and the room was convenient. The hotel was busy and noise carried well into the night. The room was a bit worn and not as clean as it could have been. I hope this is not a trend with B.W. The restaurant next to the hotel was outstanding. "Reasonably priced for the area this weekend"
The weekend of the Ann Arbor art show, everything in town - if there were vacancies - was about double the cost of this hotel. Road construction makes getting there a bit challenging but it all works out. Staff was very friendly and helpful. The room was more than adequate. There were a lot of construction workers staying there but this did not cause any problems. Breakfast was a lot better than I had anticipated and had lots of options for those of us who do not eat wheat. We would certainly stay here again. This is NOT a non smoking Hotel. The lobby smells like smoke during checking in. There were a lot of trucks and constructions in the area and the workers stayed at this place. Cigarett buds on the ground. Our room was next to the overfilled garbage which smelled like rottenfish. No fresh fruits for breakfast. The fruits were from a can. There were some quick remodeled done but looks cheap. Housekeeping does superficial cleaning. Dusts on the lamps and uncleaned toilet. I had to clean the toilet prior to use. We stayed only one night! Wifi did not work after midnight. The only nice thing was we had two king size beds and the room was spacious. The front desk person "Andrea" was nice. Management needs improvement on maintenance of the place. No I will not stay at this hotel again. I will not recomend it. "A nice stay but not over the top." A nice facility, though a hot tub would be nice. A good breakfast. The desk staff was a bit curt, but very helpful when asked for information on places to visit in the area. A good place to stay but not exceptional for this price. They have the best rooms, people,pool and breakfast of any place around. My grandchildren love to come down and play and swim in the pool. Location is good right off US23. With the freeway construction near them they are doing a great job. Rooms were relatively clean, bedding was apparently clean as well and free of stains. Free breakfast was not bad, good cinnamon rolls. On the downside, we were met in the lobby by a swarm of flies, but a friendly and warm employee. Also the biggest downside is that my door didn't close without some serious effort. I didn't put all my weight into the door before leaving for dinner and when I got back I found my door to be wide open. Luckily no one took my things. Also, the area around the lock on the door was clearly a different shade of paint, implying that it had been broken open and repainted at some point. Fine for what it was, but with some serious flaws. We arrived later than expected because of construction in area, but arrival time was not a problem, there was still a clerk available to check us in. We were happy to be able to use the pool during our short stay because it had such extensive hours available. We were pleasantly surprised when we went to breakfast in the morning. We did not anticipate having such a variety of hot and cold items. Everything was very tasty and the temperature it should be. We did not encounter any problems during our short stay. Clerk at checkout was very helpful with directions in regards to the construction in the area. "A deal for the price"
The time we spent here was a positive experience. From reservations to checkout everything went smoothly. The location was perfect for our purposes. I would definitely recommend this Best Western to family and friends. The amenities were great but the night shift staff wasn't as helpful as they should of been. Love the best western but wasn't fully satisfied with this one. Seem to be more of a live in setting than people traveling. Seen multiple families that seem to be living out of hotel. Long weekend visit family and wanted economical lodging. For the general Brighton area this is the cheapest place with at least a 3 star rating. It's an old motel, not the most current interiors or decor but the room was clean, frig, decent flat screen TV with lots of channel options. 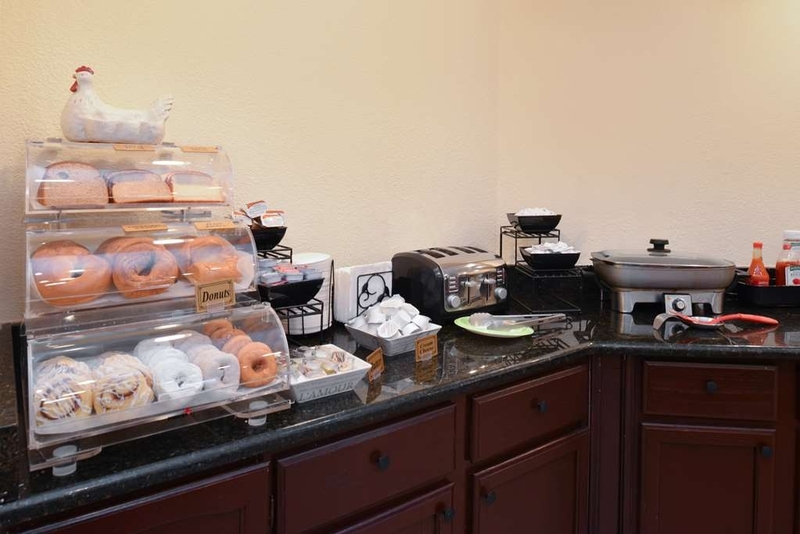 Continental breakfast included with some hot options. I'd stay again, can't beat price for area. Great service, the rooms were very out of date, they were clean just dark and old looking. A brightening up would do a world of good. They have great customer service at check-in. The lady was very personable and friendly. "where the customer is always wrong!" Please avoid this property at all costs as the manager will do his best to challenge your integrity and honesty, and will overrule his staff when they simply try to serve their customer. 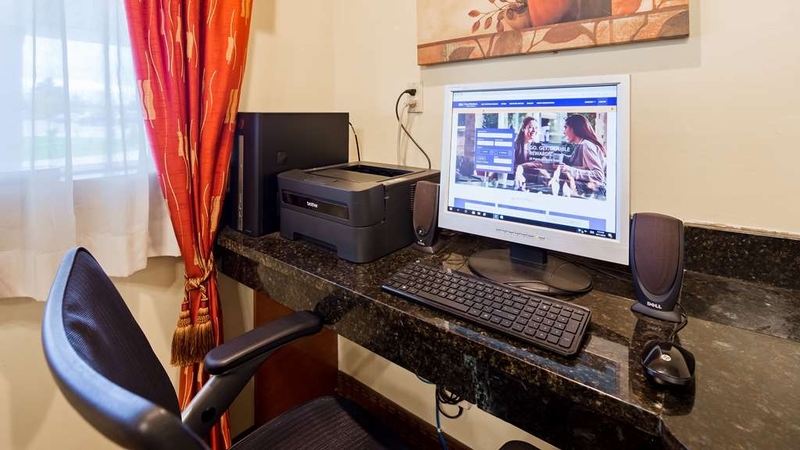 If you must stay here, then be sure you get every detail from your agreement or any changes you may make to your reservation in writing by the motel so that you can avoid the embarassment of being accused of being dishonest so that they can make off with a nights rent. I have never been treated so poorly and will never be in a best western hotel again for that matter, as the BW corporate customer service team have also decided that they would rather support their franchise owners than their customers. At this price range and quality level there are MANY BETTER OPTIONS that offer not only better value for the money, but also make it right when they are wrong. "Great Place to stay with pets"
Pet friendly room was really clean, no oders, we loved it. There was some loud talking outside our room about 10PM. They were some construction workers who were staying there, but that didn't last to long. I'm not going to let that get to me. "Reviews were not true of this property "
Truth: This has extended stay guests that party, smoke free is bull. Our room smelt you can see in the pic from the shower the spot I cleaned off dirty and smoke stained. Didn't feel safe here place was dated with ajoining rooms most locks sketchy. This is an old roadside motel, loud thin walled, with rude management. Pics say it all beer bottle coolers and cigarette butts lining balcony and sidewalk. Our experience in Best Westerns lead us to look for one that n ight. We weren't let down. The highway construction to this location was well worth the travel! The staff weas very attentive. The pool is great!! No real problems with this place, everything is average. Only complaint is I wish there were either more or thicker blankets. Bathroom towels were also pretty rough. The restaurant next to the hotel is really good though. I had a awesome experience, i will becoming back there soon for another stay. I have recommended this hotel to almost all my friends and coworkers. My only complaint is the breakfast juice was kind of watered down, but other then that the breakfast was awesome! The room was very clean and i felt comfortable. Large group stayed and the people were very nice to our group. They allowed us to check in early use of the pool alittle longer than the regular hours. Gave us the use of the breakfast room to gather and sit and visit anytime we wanted to. Very enjoyable stay. Good breakfast provided, nice rooms. a little road noise. could use better soundproof doors but didn't bother us. i love the curb side entry. it was perfect for us and they have dog friendly rooms so that was key. The hotel staff were excellent, and the mattresses and pillow are extremely comfortable. There is an excellent restaurant right next to the hotel. Perhaps the exterior and the lobby of the building could use an update to make it look more appealing. Asked for crib in Special Request section when booked on Best Western app. No crib. It's been awhile since I've stayed at a hotel where the door to the room exits right out into the parking lot. Doesn't bother me, but wife is not a fan. It makes taking luggage back and forth from room easier. You can hear passers by when they walk by your room, but this annoying issue persists in most hotels. Room was on the smaller side. The a/c - heating unit was good though. Some hotels let you "set" a temp, but they're really controlling it. I hate those. I wake up hot or cold a lot in rooms where the hotel rigs their units like that. Set the temp to 66 at night and had no issues. Set the fan to continuously run and it provided a nice background noise. Didn't smell musty like a lot of this style of units can. Toilet paper was good quality. Not the usual one ply garbage you find in a lot of places. A good place to stay while in the midst of a road trip although GPS has a hard time finding it. At least for me. When you exit the freeway you're on 8 Mile. You then need to turn onto N Main Street, which isn't even the street the hotel uses for an address (it uses Main St which turns into 8 Mile). Then you need to make an almost immediate left turn onto another unmarked driveway after you turn on N Main. It was dark when I was arriving so I missed the turn and it took me a minute to figure out how to get to the hotel. Stayed here as it was close to a college softball tourney. Looks like an old Holiday Inn from the late 60's. It has been upgraded but still very basic. Room was clean and everything worked. We only needed a good bed and a warm shower, and we got that. Staff was very friendly. Breakfast room had several options. Easy access to US 23. Would stay again if in the area. If you are looking for a lot of frills, this isn't it. Cost was reasonable for what we got. Andrea at the front desk always remembers me and my name. Mary at breakfast always makes sure everything hot and fresh. My grandkids love the pool. The rooms are always great. What more can you ask for? I enjoyed my stay. The room was nice and clean. The maids respected the do not disturb sign so my dogs were not upset with strangers at the door. Very convenient to the Brighton area and easy access to the interstate to travel daily to Detroit. "Surprisingly good experience, greatly exceeded expectations"
The place isn't "new" but has been well maintained. The room, pool and breakfast areas were spotless. The staff and all contacts with them were great... personable, helpful, knowledgeable and friendly. Wife, brother and I were in for the last U of M game of the season and we needed to figure out where to park in Ann Arbor... desk lady recommended a local taxi company that was "cheap", picked up at the room, on time, and for $40. That was great as parking in A2 was $35. I typically don't stay at Best Western but the prices in Ann Arbor for a home game weekend were ridiculous, the Motel 6 was almost $200! This place was $115ish and stellar. The "hot breakfast" is typically benign in motels like this, but the lady in charge of breakfast even makes fried eggs... this place was really nice. Couldn't have been happier, spotlessly clean, comfortable, close to Ann Arbor and the restaurant next door "Joe's" was excellent and reasonable. We ate dinner after the game as all the usual spots in A2 were 45 minutes plus and they had immediate seating. The beef loin and the perch were excellent and around $15. "Locals" recognized us as being from "out of town" and encouraged us to return in summer to play in the lake... this is a great place! This place is very easy to get too, right off Rt. 23., It was quiet, our floor was on main level, and it was still quiet. Room very nice, Breakfast had many choices , something for everyone. All Staff very friendly. Thank you your feedback. We take great pride in the opinions of our guests. Everything in this hotel got a 10 plus . I could not believe we did not spend more! The only thing I would suggest is a better sign at the entrance. It was late when we returned at night and there was no lighting by the driveway sign where you drive into the property. Otherwise the best deal I ever got on a hotel. "Clean and up to date rooms at a decent price." 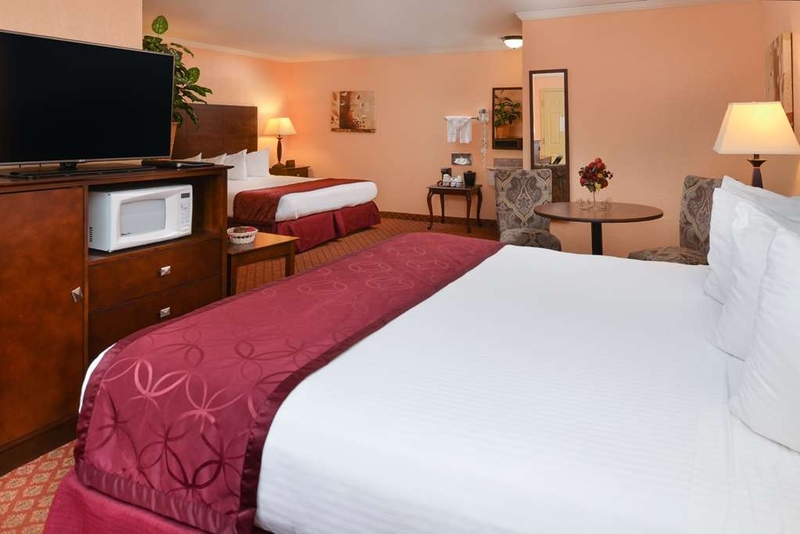 Overall good experience with a clean, modern, comfortable room. The exterior is well maintained but not especially eye-catching. The rooms are up to date and well maintained. Our room was clean and pleasant. The customer service was excellent and the price was decent. I would definitely stay here again. Note, the breakfast didn't look particularly appetizing but there was nothing wrong with it. Typical mid-priced hotel food. We chose to eat else where. Thank you for your feedback. We as a team take pride in our hotel and keeping guests comfortable. Your opinion helps to ensure that we take the necessary steps to continually improve guest experience. "Excellence and Attention to Details"
Whenever we travel to Michigan for football weekends, we always stay here. The staff is very friendly and professional - we are always greeted with a smile and almost made to feel like family. The rooms are very comfortable and the breakfast is very good. "Ok stay BUT BUT ..."
Easy location off the highway if stopping by on the way to Ann Arbor, AC works (BUT temp set at 60 for AC when we arrived and the carpeting was soaking wet near the AC)), reasonable breakfast which starts at 6 am (BUT rolls had obvious Mold on them), bathrooms ok (BUT maybe u could leave an extra roll of TP whenever the two rolls on the wall are near empty). Without the BUTS an okay stay! "REALLY - one of the best..."
I have stayed in MANY hotels through the years for business and pleasure. This location really is one of the best. I needed nothing fancy but I got an extremely clean room, a wonderful breakfast, complimentary WIFI and a staff that really enjoys what they do and take pride in the property. I honestly felt like a guest!!! This is a wonderful property and I would recommend this above most anywhere else I have stayed including +++++ resorts. For the rates and location it had everything I needed and was simply enjoyable. Did not even have time to use the pool but it looked immaculate. I was on a business trip at the University of Michigan and chose this property solely based on proximity and price to ann Arbor. The outside of the hotel looks more like a motel 6, as it is in fact more of a motel structure than a 'hotel' per se, it is of a drive your car to your room kind of deal. The rooms are mildly remodeled, but still don't look as clean. I had a towel with blood stains on it. If you are a light sleeper, the highway noise will bother you. Staff were nice, breakfast was okay. I probably won't stay at this property if I have another choice, but if I certainly have to, it would be okay for one night, I guess. "Only place to stay near Whitmore Lake"
Be prepared for noisy traffic, and hope that the people in the room next to you do not keep you awake in the middle of the night. Very noisy, I suppose that's to be expected with a motel type of buildling. Curtains do not sufficiently block out the lights from outside. Room cleanliness was not impressive. Found food that we did not eat, and smelled of overpowering air freshener. "Located right by the lake"
Refurbished motel-style property -- drive up to your room. No smoking, but lots of butts in the parking lot. 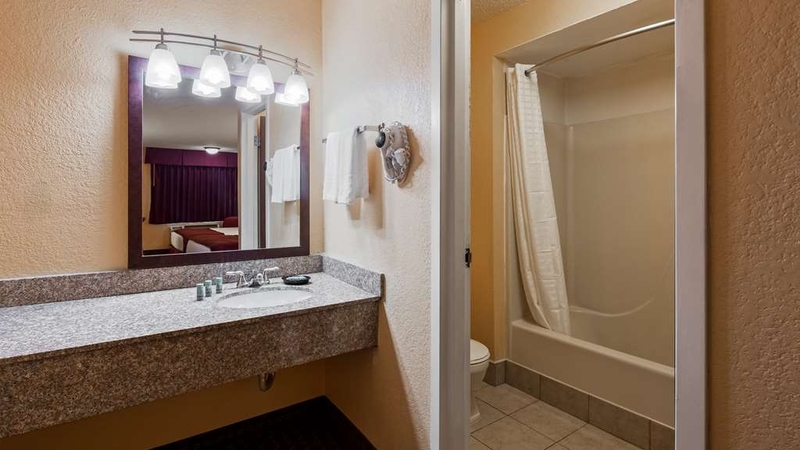 Good sized room with older style toilet and sink. 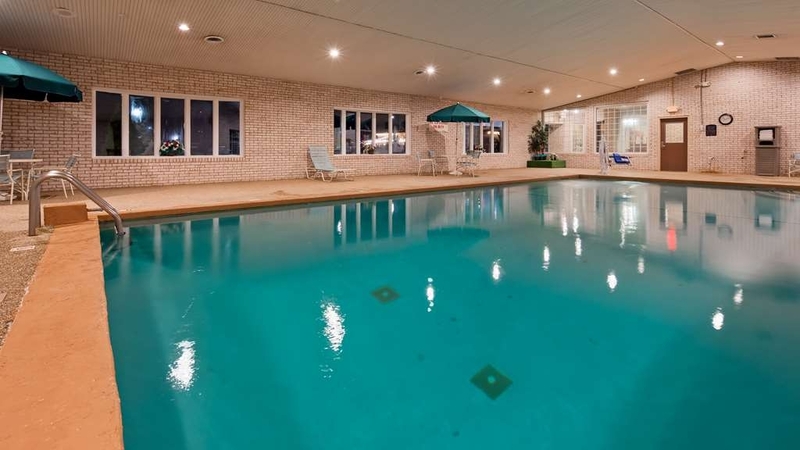 Spacious indoor pool area and breakfast areas. Breakfast was better than average -- chilled fruits, etc. along with the usual scrambled eggs, etc. Lobby was perfumed. Room either had a faint odor of old cigarette smoke, or it had been closed in the winter and developed a slight musty odor. Great location -- stone's throw to the lake, and restaurants and convenience store/gas station nearby. Pet-friendly. Motel features Marco's Pizza, but when I asked the check-in person where it was, she didn't know. This place is the worst Best Western I have ever stayed in. The woman who checked us in was extremely rude, there was urine in the toilet when we arrived in our room, floor was filthy, and the bad had what appeared to be gravel or cat litter on the sheets. I wouldn't even sit to go the bathroom. If we had been staying more than just a single night, I would have refused to even stay here. To top it all off, the room was the most expensive of our trip at $130 per night. Absolutely disgusting. Do not stay here! "This is a hidden treasure"
Go on in and talk to Jim he will take very good Care of you. The rooms are clean spacious and very comfortable. The pool and spa are great. I would tell my mother to stay here. Quiet safe great parking. With the amenities that are close by this place is hidden gem. Thank you for your honesty, I assure you we want all our guest to feel at home here we take pride in our guest services and will go the extra mile to make sure that our guests are satisfied, again thank you and hope to see you soon, have a safe summer. Jim Ayar Owner. "Good for the price, Stop here if you want to eat good food close to the road! Great pool!" After getting stuck in traffic and stopping to get a bite at the Whitmore Lake Tavern, we decided to stop here on purpose on the way back to DC from the UP. This is the only hotel in the area but you can walk to 2 restaurants for dinner, and if you take you time in the morning, stop again for lunch. Breakfast on weekends? Very convenient to the highway, dated decor but good a/c. Giant King ste. However, if you have lots of luggage, ask to stay on ground floor as there's no elevator! Pool is WONDERFUL especially for adults who swim laps. We arrived late -- 10PM. Our check in was a little hectic and delayed about 10 minutes because a guest called the cops due to fireworks going off in the area. The receptionist told us the internet was out and there was no water. I understand the internet, there was a bad storm that passed through. The water though?! I had to kill three spiders once we inspected the room. Other than that, if you don't mind killing a few spiders and waiting for the water to turn back on, it was an average hotel. Captain Joe's next door is amazing, FYI. Breakfast was not the best either if you enjoy continental breakfast. "Disappointing, AC didn't work and two spiders in the bathtub." For $120 I expected a nicer experience. We had the Ac set to 60 degrees all day and night and the room was uncomfortably hot the entire time. shower was disgusting, 2 spiders greeted me as I went to take a shower. front desk took $10 off because of my ac complaint, but told me she would have reduced my price more, except that the checkin clerk had not put me in a pet friendly room. So this is my fault? Pet friendly rooms are worse? Appalling. Don't stay in room 111. We stayed here just one night after a group of friends were on the lake for the day. The rooms were large and the beds were comfortable. The girl at the front desk had only been working for two days so the check in process was a bit slow. The room looked clean but not as clean as I would've liked it. It could be that some of the items are just worn down and really need to be replaced. They give you free breakfast in the morning which was very nice and had a nice variety. The price was right and it was pretty much as expected for a Best Western. Good economical choice for staying in the Brighton MI area. Only gripe is the proximity to the highway. We could hear traffic clearly in the room, however, it did not interfere with the quality of our rest. We only used the room to sleep in and did not use the pool or other places in the area, we were attending a wedding in the area. This is a older style Motel were the room doors open to the outside. The rooms were not big or fancy, but did have a microwave, coffee pot, small refrigerator and iron / iron board. The room was clean enough for my husband, but not for me! I found hair in the bed and in the "clean" folded towel, plus the room had a lot of flies in it. "Ok for a stop along the highway"
OK for a stop along the highway. They do have an indoor pool and a breakfast that is good. Rooms are clean. There is a good restaurant / bar right across the parking lot that has decent food and lots of draft and craft beer on tap... Wednesday is half price draft day if you are lucky enough to be there then..
"My stay at the best place in town"
Will never stay again. Staff incredibly rude and not at all helpful. But they loved telling you all the good things they do - and to make sure to give them a good review ha! Room dirty (big wad of hair in the bathtub); smoke alarm went off every time someone took a shower. The final straw came when checking out, was told the reservation was entered incorrectly and was charged more than originally told - but of course wasn't made aware of the mistake until I was trying to get out of there! Cannot warn travelers enough to STAY AWAY!! "Everything we wanted for overnight ELCA southeast synod conference." So glad we called for reservations a couple of weeks ago. Our conference was in Pinkney, MI and this was a convenient location. Our room was everything we expected from a Best Western, clean, plenty of towels, quiet. The complementary morning had a wide variety of choices. The hostess was friendly and efficient at keeping the various selection available. I was pleased with the dried fruit selection there that I added to my oatmeal. We stayed three days at the Whitmore Lake Best Western and really enjoyed it. 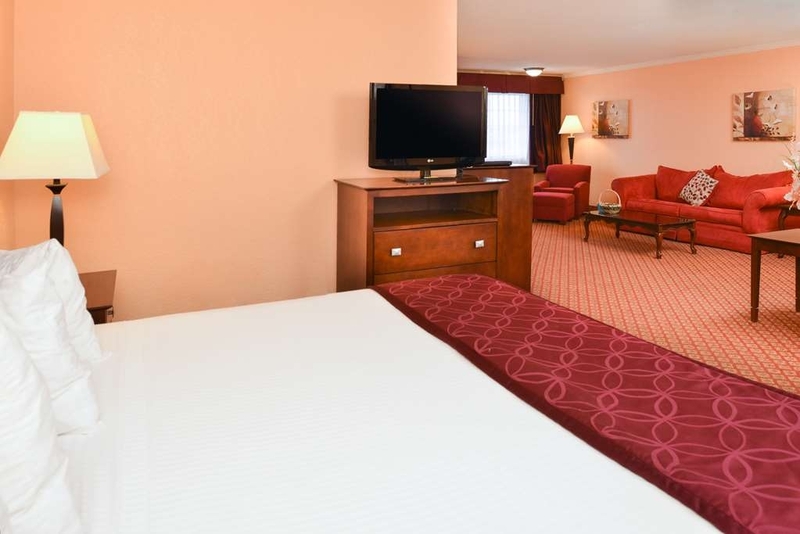 The room was clean and comfortable, the beds were firm and comfortable and it had nice furniture and WiFi and cable TV. The people that worked there were very friendly, helpful and polite. 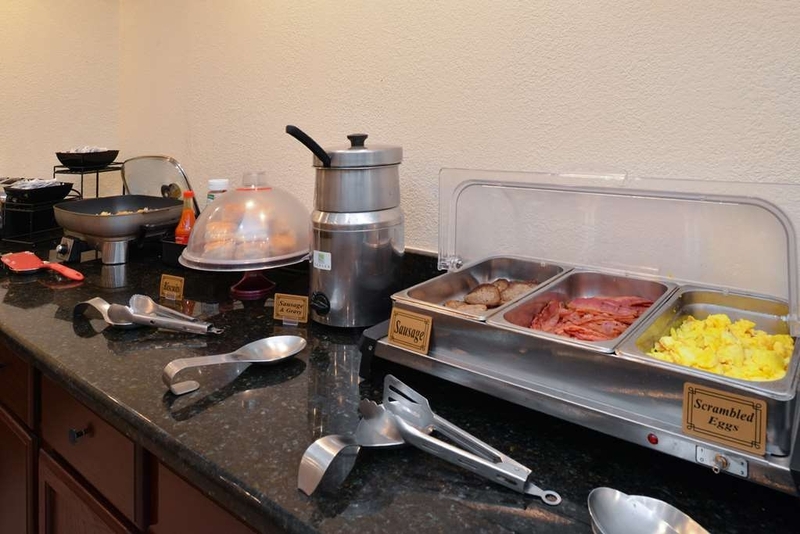 It had the best complimentary breakfast of any hotel that I have ever stayed at, with a very wide choice of food from waffles to sausage biscuit and gravy, to cold cereal and fruits with coffee, juice and punch. I looked forward to eating there every morning. The only problem that we had was no fault of the hotel. The bridge going to the hotel was closed and being worked on and we had to detour around the lake, which wasn't too bad (it's a beautiful lake), but it would have been much shorter if the bridge was open. The hotel was clean, parts of the room were old. Looks as if they've done some updating but our bathroom in particular had cracks and a lot of patchwork in the walls, ceiling and around the tub. The staff was kind, helpful and very accommodating. I loved the short drive into Ann Arbor also! 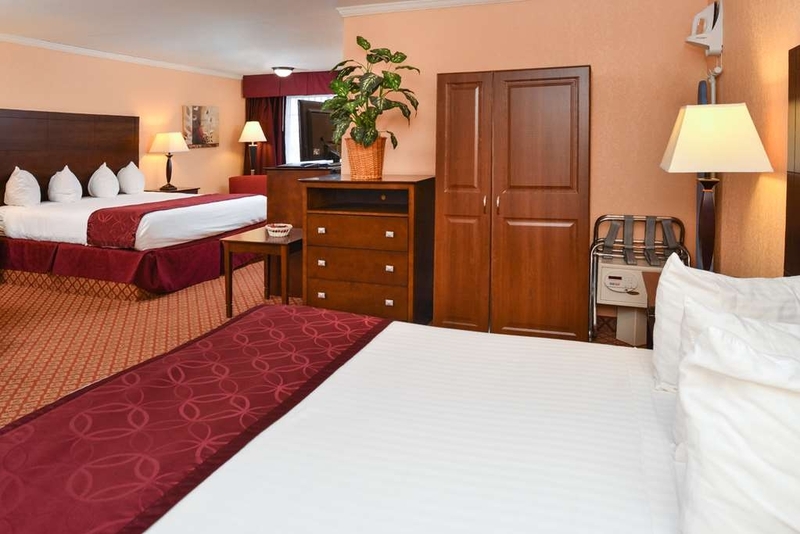 "Nice hotel / with nice staff"
"Whitmore Lake Best Western a winner"
A great choice for visitors to the Ann Arbor area, this hotel offers fair pricing, very acceptable rooms and a great breakfast. The staff was efficient, the room clean, a good value and an easy drive. I have Best Western rewards and stay in a lot of Best Westerns. This one was pet-friendly so I made a reservation. But when I showed up and got a look, I turned around and left canceling my reservation. It is right smack dab off the highway. The rooms are all accessible to the outside. First floor you can drive your car right up to your door. Second floor you have to walk up outside set of stairs. I can't abide rooms accessible from the outside street and so close to the highway. It is just not safe. The lady at the front desk assured me that they have never had a break in. But, I still feel such a set-up is unsafe and also very outdated--and a little 3rd world. There is also no elevator--so if you are on the second floor, you have to lug your stuff up the stairs. I left and drove two hours to another pet-friendly Best Western, that was clean, safe, and comfortable--as most Best Westerns are. "good stay but could be better"
Everything was fine but the rooms could be updated especially the bathrooms. The breakfast was very good. At check-in the receptionist did not provide any information regarding breakfast or pool hours etc. Sorry but not only is our hotel nonsmoking but the whole state of Michigan is non smoking. This is monitored by the Michigan state health department.. There is no smoking allowed around the buildings of any establishment. I hope you understand. Staff was very friendly and courteous. My room was very clean and comfortable. I did not use the heated indoor pool or sauna but did observe the area and found it to be very nice. The complimentary hot breakfast was great. I highly recommend this hotel. Loved this hotel. very clean, and very attentive down home friendliness. Staff came to my room to help me connect my laptop up to the TV. Note that the pool is inside. But you must travel outside to get to it. Winter in Michigan kept me from enjoying this amenity. The stay was very good especially for business travel. The hotel staff was very friendly and professional. The rooms and Hotel were clean and Check in and check out services was very good. We have several people staying at the location for business and the hotel was very accommodating even with last minute reservations. 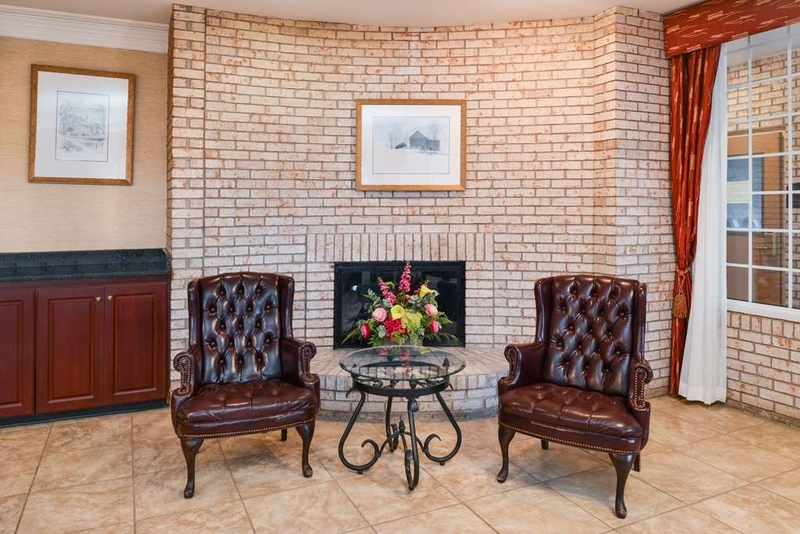 The overall stay was very nice, the location is convenient with nearby restaurants and the interstate highway is nearby. this is a pet friendly hotel, but after taking my shower and bedding down for the night I was suddenly bitten by several flees inside my sheets. I thought these rooms were suppose to be thoroughly cleaned. What the heck !! I did call down to the frond desk and they were more than happy to move me to another room. But unfortunately I am highly allergic to dogs and cats. I needs these rooms to be cleaned properly if I am going to continue to stay there. Our reservations were made last minute. We traveled with a team of youth football players and had a host of different rooms. All rooms were clean and comfortable. The staff was very accommodating and it was a very pleasurable experience. I booked for one night but didn't even bother sleeping there since it was so nasty inside and out. The place is very old and dirty looking. The rooms had holes in the walls, the bathroom wash cloth holder was ripped off and there was just a big nasty moldy hole there. The walls had visible dirt spots on them as if someone rolled in mud and rubbed themselves against the walls, at least I'd like to believe that it was only mud. I drove over an hour to stay with friends that night. This place was terribly dirty. I didn't not end up staying-when i checked into my room it was wet inside and smelled musty, the bed was sagging and there was dirt all over the floor. Needless to say, I didn't stay in the room long before i checked out and found another place to stay. I had another reservation here that I made at the same time as this one....I cancelled that one as well-but apparently the person I spoke to at the hotel did not cancel the reservation. So, now I have been charged for a room that I cancelled and did not check into. Extremely unhappy right now that I have to spend extra time contacting the hotel, wait for general manger to come in later in the week, talk to him,.......I wonder how long this process will take for them to rectify. "Nicely Surprised with such Personable Staff at A Chain Hotel"
We arrived late and the front desk clerk was so welcoming! She could not be more helpful. This continued with an excellent room. Spotless and then a comprehensive complimentary breakfast. So glad we stopped here. This older hotel has a great indoor pool area, clothes washers & dryers, nice bedding and linens. However, there is a lot of noise from the traffic on US 23. Must say we appreciated the 2-ply bathroom tissue; most hotels don't have that. But what cooked it for us was the microwave. There it sat on the cabinet shelf, next to the fridge and under the TV. However, it was not plugged in, probably because there was no outlet to plug it into! To use it we had to move it from its designated space to find an outlet for it. Would we stay here again? Probably, but we'd be sure to ask for a room with a functional microwave. "Absolutely not worth the money even for location"
This hotel has mediocre service! My son and I check in on a Friday night after a very long day. When we got to our room, we noticed that the floor had not been vaccumed but the beds were clean so we got ready to settle in. Once my son got ready to take a bath he noticed dirty clothes from previous guests on the floor in the bathroom. By then we were in our night outfits and our suitcases were unpacked. I can deal with a peanut on the floor and a medicine wrapper until the next morning. I can even deal with the dirty laundry on the floor because by then I'm absolutely exhausted. I called the front desk to let them know and was told to speak with the manager the next morning. Next morning, I patiently waited my turn to talk to the manager as he was already dealing with unhappy customers regarding a mix up in rates etc. As I tired to explain to the manager Jim Ayrs what the room situation was in addition to a clog/slow sink which we discovered in the morning as we brushed our teeth, I got a lecture from the manager as to "Why did I stay in this room and I should have asked to be moved and he would not have stayed in this room and maybe his staff on sight was too afraid to go out by herself at night but if he would have been there he would have come to help us pack and would have moved us to another room". Seriously!!!!! this is not what one wants to do as they settle for the night. When one spends over a $100 in a very outdated hotel...one just wants to rest and go to bed....not move room because someone DID NOT do THEIR JOB! I should not have to worry about dirty laundry on the floor when I check in after 8 pm!!!!!! So I was assured that I would have an immaculate room at my return (after the lecture I got about basically being an idiot for staying in the dirty room to begin with). At my return, I check the room. A nice note was on the desk from a different house keeper about letting them know if I needed anything. The peanut was still by the bed on the window side of the door and the floor didn't look freshly swept. Maybe the hotel needs to invest on new vaccum cleaners. The medication wrapper had been removed from the side of the end table. The dirty clothes from the bathroom had been removed but.....here's the kicker!!!!! It had only been moved from the bathroom floor to behind the sofa by the window...I have a picture. Seriously again!!!! Is this a joke? Am I supposed to laugh about this? Am I supposed to yet again call the office and complain after a long day!!!! Well NO! I am not calling because I shouldn't have to call. My room should be clean! I shouldn't have to be moved! I don't like to complain about things and I shouldn't have to!!!! I really shouldn't. My son is a Tourism Major in College and his first words were ....they sure don't have attention to details and customer service is not their priority. Our family traveled all over Canada and Europe this year and I have to come to Michigan for this kind of service. Very unhappy and disappointed. Seriously considering a less then favorable review on several sites. This kind of service and treatment is unacceptable. I come from a family of entrepreneur and I've learned very young in life that the customer is always right and their needs are priorities. That's why I don't like to complain and try not to because I know how hard businesses can work. However, this is just unheard of. No apologies...just a lecture about how i should have stated my case after a long day and a long drive...then assurance that my room would be clean to find dirty laundry (AGAIN) from previous guests in the corner of my room instead of the bathroom! We have been visiting this area for the last six years and have enjoyed this property at least once a year. The manager actually remembered us when we checked in this year and thanked us for coming back. The whole property is Very clean, easy to find and get into and out of. Conveniently located. The staff was nice but I would never stay there again.Please look at pictures moldy coffee maker dust and finger prints on Kleenex box.?? I stayed for two nights the breakfast buffet was not fresh and had watery scrambled eggs. The place needs an update.